Pianist and composer Amy Wurtz was born in California, and began studying piano at the age of six. She started writing her own music at age sixteen, and went on to study Piano Performance and Creative Writing at the University of Redlands before completing dual Master’s degrees in Musical Composition and Piano Performance at the University of Minnesota. She studied piano with Alexander Braginsky and Louanne Long and was a composition student of Judith Lang Zaimont and Alexandra Pierce. During her studies Amy received various scholarships and stipendiums and held positions as a lecturer in Music Theory at the Minneapolis Community Technical College and as a Teaching Assistant for the University of Minnesota. 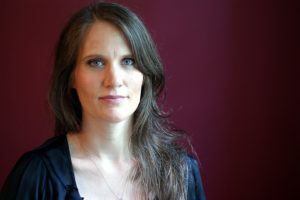 Since completing her studies, Amy has worked as a freelance pianist, accompanist, composer, music copyist, conductor and teacher, with students in piano, composition, counterpoint, and harmony. Amy also worked at the East Metro Music Academy in St. Paul, Minnesota, where she was appointed Chair of the Piano Department for almost the entire duration of her tenure. Among her accomplishments are performing the American premiere of Armenian composer Beatrice Ohanessian’s “The Dawn,” and winning first prize in the Vocal Composition category of the 2001 Beyer National Federation of Music Clubs Composition Competition for her work, “Mariposa en arrullo,” a song cycle for Mezzo-Soprano and piano using the poetry of Pablo Neruda. In 2004, Amy traveled to Argentina in order to study piano with Master Teacher Inés Gómez-Carrillo. After one year of intensive study in Buenos Aires, Amy moved to Germany, to focus on presenting her work, Message from the Soul, with text by Professor Sadegh Angha. Amy organized, rehearsed, and conducted performances of this 70-minute work for Chorus, Chamber Orchestra, Soloists and speaker in various cities throughout Europe. Amy moved to Chicago in 2008, where she composes, teaches and performs throughout the city and surrounding areas. She is a member of the Calumet Chamber Musicians, and also performs regularly as a soloist and with Access Contemporary Music and other chamber ensembles. She is Music Director at Hemenway United Methodist church, teaches at SPACE Conservatory, and is the Vice President of New Music Chicago. On April 15 2012, she released a CD of her first two string quartets, in collaboration with the Chicago Q ensemble.